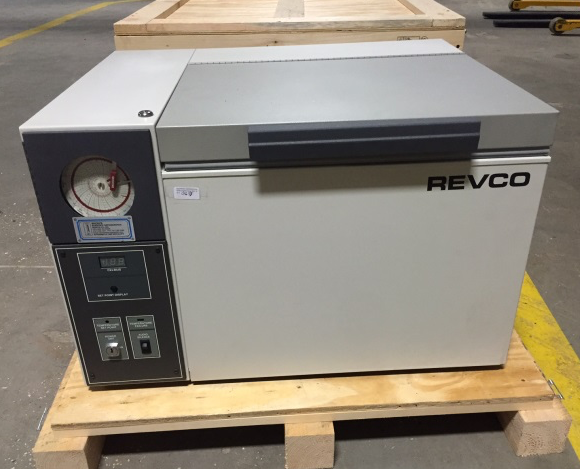 Pre-mixed and frozen adhesives must be stored at -40°C or below, which requires a specialized cryogenic freezer, such as the Revco high-performance line manufactured by Thermo Fisher Scientific. We know that purchasing a freezer may be a barrier, as you don’t know if the savings will outweigh the cost — which is why we created our Freezer Loaner Program. If you’re considering adding Appli-Tec PMF adhesives to your process and would like a trial run — without having to outlay thousands of dollars upfront — Appli-Tec is happy to loan you a one cubic foot Revco freezer for 4 – 8 weeks. This way, you can determine the full savings benefit — including time, money, and resources saved as well as process improvements, etc. The freezer plugs into any standard U.S. electrical outlet and maintains a temperature of -70°C. We can either deliver the freezer to you if you’re within a few hours driving distance, or ship it to you in a crate. Please contact us if you’d like to try a freezer.